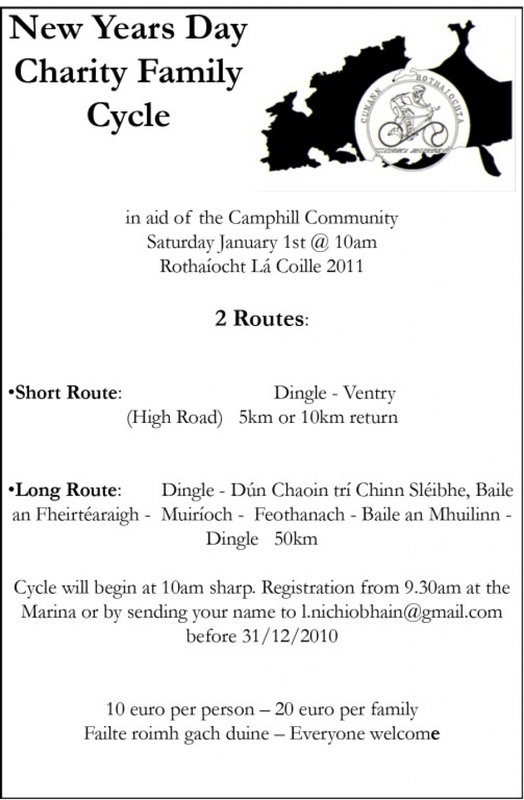 Below is a link to a New Years Day Charity Cycle that is being held in Dingle, organised by Cumann Rothaiochta Chorca Dhuibhne. This is being held at 10 am on Saturday 1st January and is in aid of Camphill Communities. Tea, coffee and mulled wine will be available at Dingle Marina afterwards.